Washington and Oregon are world renown for their beer. Yes, for other things as well...but really, just the beer. There are more breweries within the city limits of Portland than anywhere in the world...and Washington State boasts almost 300 breweries and brewpubs within its borders. Yes, California and Colorado are considered "winners" as well but for those of us who live in the Pacific NW...well, we know who the real champs are. 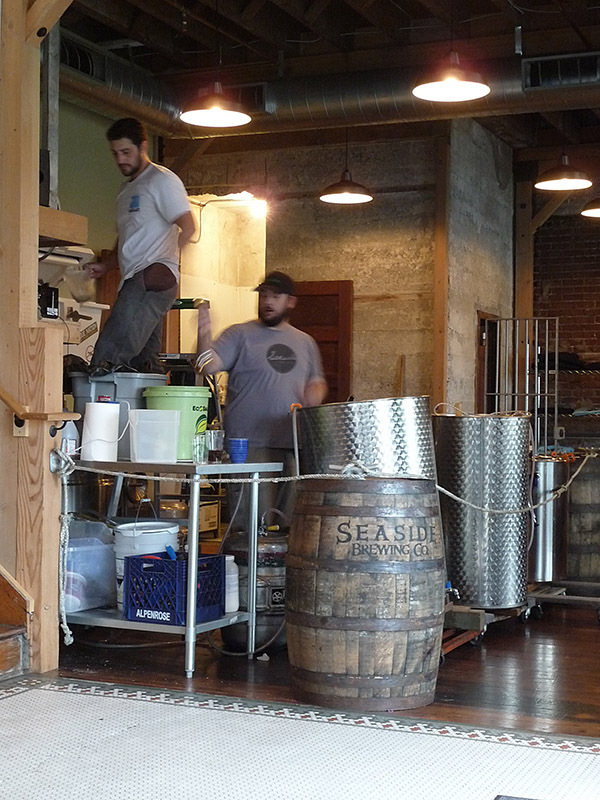 And one of those is Seaside Brewery. 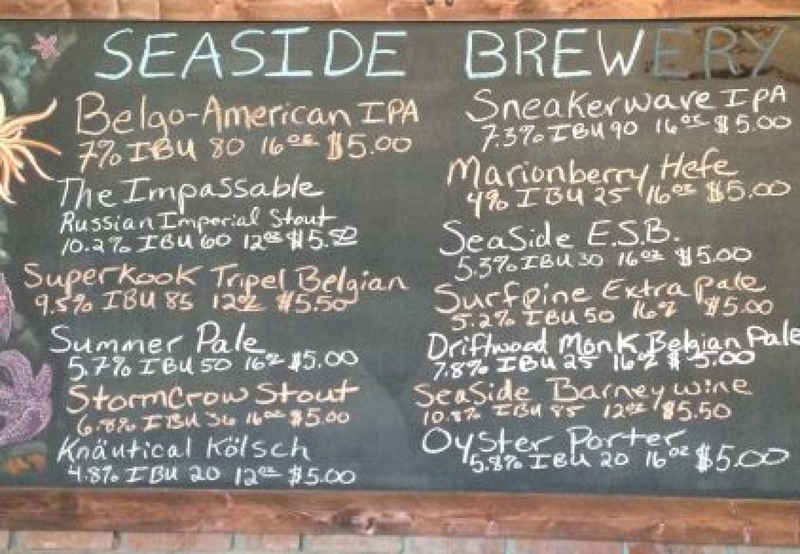 Housed in the old city jail, Seaside has a dozen beers on tap; everything from Kolsch to Barleywine and that, to me, as an excellent selection. Coupled with the fact that all of them taste amazingly different, each with it's own character, flavor and personality makes this little brewpub one of the best on the Oregon Coast...perhaps in the entire state. Their food too is outstanding. Although not an extensive menu, what they offer is delicious. The best clam chowder outside of Maine; reasonably priced fish & chips (that's saying something for coastal Oregon eateries! ), and pizza. Can I tell you about their pizza? Normally a summer-time only selection, they have decided - wisely - to offer it year round. There may be a better variety in town, but none taste better. Outdoor seating around a fire pit is okay...but it faces both main streets, Broadway and Highway 101 leaving a lot to be desired. 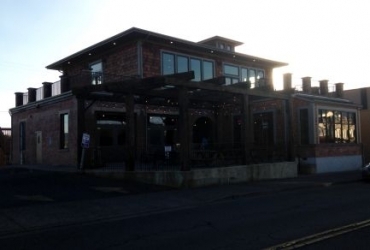 Seaside Brewing is in a substantial two-story brick and classic coastal wood building (with a parking lot) right in town and close to Hwy 101. The building has been extensively and tastefully renovated. There are two sections inside with brick outer walls and the remaining walls painted sea-foam green. The bar area on the left has very high ceilings and a lovely old red wood floor. 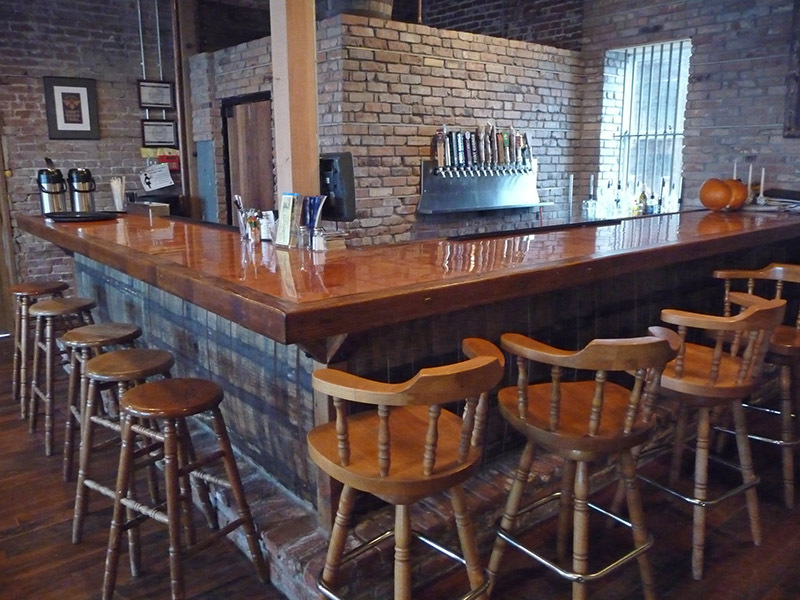 There is a decent-sized L-shaped bar with chairs and stools and a number of assorted wooden tables. Two huge windowed doors open out to a raised outdoor deck with quite a few wooden picnic tables. 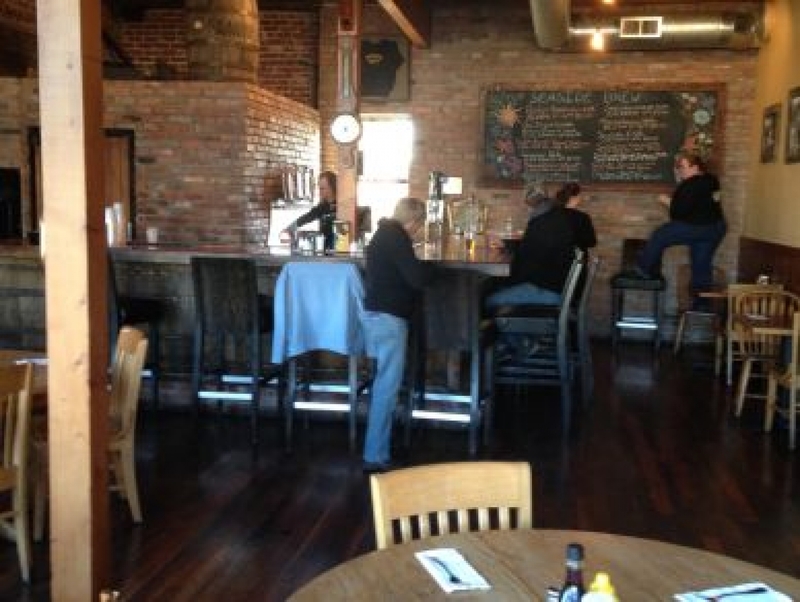 The tiny brewery is in the back of the dining section on the right, separated by a rope. It looks like quite a manual operation. 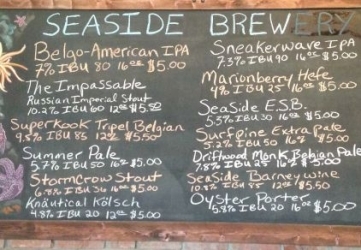 There were four Seaside beers listed on our visit: NW Red IPA, Imperial Pale, Honey Badger, and IPA. 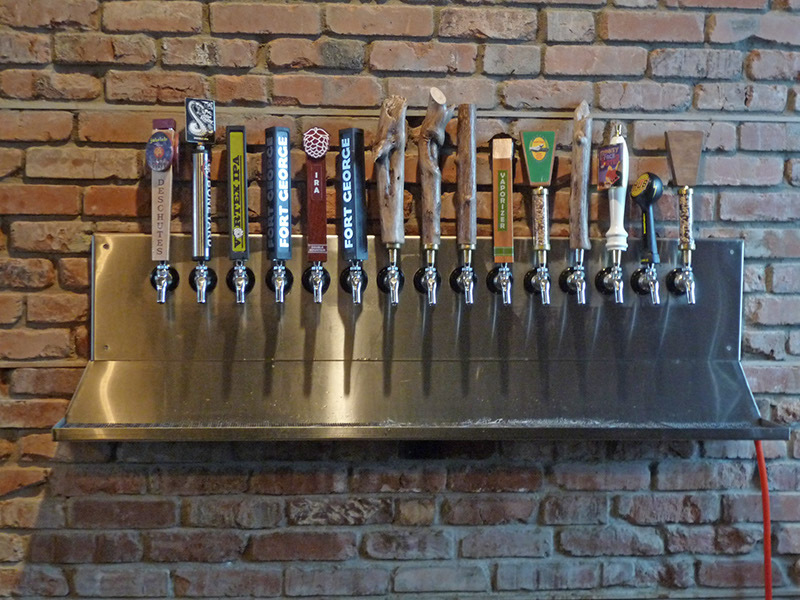 This, in addition to ten other Oregon craft beers on tap, makes quite a nice selection. We didnâ€™t try the food, but the menu listed mostly typical pub food as well as some interesting seafood specials. Growler fills are also available.